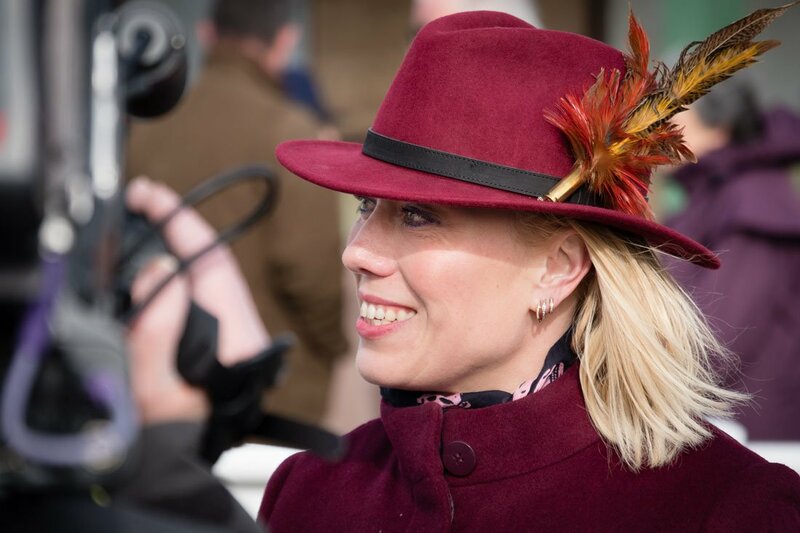 National Hunt trainer Kerry Lee is ready to put her training exploits on the back burner for a short while on Tuesday afternoon, as she is set to ride in a charity race at Hereford, as she looks to raise money for the St Michael's Hospice in Hereford. Lee's yard is sponsored by The Sportsman, and the pair teamed up for victory at Haydock Park on Thursday, as Destined To Shine was victorious over hurdles. But, as the celebrations die down from that success, Lee has her sights firmly set on Tuesday's charity race, and she wanted to raise a whopping £5,000 for the St Michael's Hospice, a figure she has surpassed already. No, it isn't April Fool's Day! I honestly have taken leave of my senses and signed up to do something I said I never would, namely to ride in a horse race - one which enables me to help raise unds for an outstanding cause who carry out brilliant work, St Michael's Hospice. Lee, who trained Mountainous to victory in the 2015 Welsh Grand National at Chepstow, is now ready to show her talents in the saddle, but she has already pointed out that her life as a jockey will be a one-off, as she exclaimed on her dedicated JustGiving page, where she spoke about the phenomenal charity she is riding for. Life is short and given this precious opportunity, why not try and raise some much-needed money for a deserving cause? So, I'm electing to get off my backside and go and have a spin myself. This is a one-off, never to be repeated attempt, so please support me by sponsoring here - all funds go to St Michael's Hospice so if you can, if at all possible, give generously. St Michael's is a wonderful Herefordshire-based charity, whose continuing aim is to provide the best possible care for people who have a life-limiting illness, as well as support for their families, friends and carers. Here at The Sportsman, we wish Kerry all the best! on Tuesday, including Kerry Lee @beaubai !